Providing you with the right combination of products, services, training and tools, our goal is to consistently exceed your expectations. Evolving our business to advance yours, we go above and beyond the traditional role of an HVAC/R distributor to provide the innovative solutions you need to grow and be more profitable. Offering the right mix of personalized services, expertise, training and products to consistently deliver what you need – when and where you need it – our success is measured by yours. As an extension of your team, you can find us at the counter, in the training room and on the delivery trucks, ensuring you have the equipment and parts you need today. Focused on making things easier for you, we help you streamline your business, and provide the hands-on training and extensive, cutting-edge resources you need to stay competitive in an ever-changing marketplace. 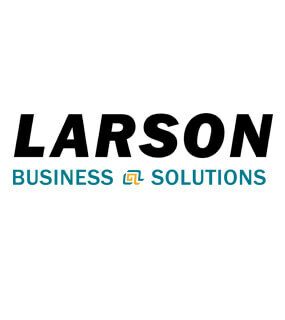 Larson family values have driven us to put our customers first in everything we do, for more than 80 years. Across our entire organization, at every location, our commitment is rooted in a foundation of integrity, trust and building relationships. Progressive, we push ourselves to go further to put you in the best position to succeed. For us, it’s not just business – it’s personal. The Gustave A. Larson Company is the Midwest, Plains and Mountain states leading distributor of Heating, Ventilation, Air Conditioning and Refrigeration products. We take pride in providing innovative ways to add value to our relationship and help you grow your business. At the Gustave A. Larson Company we're focused on your success. Save time with a single source supply, and move on to the next job faster. Save money with joint delivery and lift, maximize installation crews. *Available in select locations. We’ve carefully chosen partners to help with turn-key solutions for marketing, recruiting, sales and even technical information. 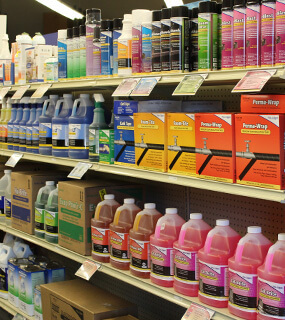 Each of our 53 full service locations is stocked with over 15,000 different items to meet your needs. We represent more than 450 companies including industry favorites such as Copeland, Sporlan, Chemours and Bohn. 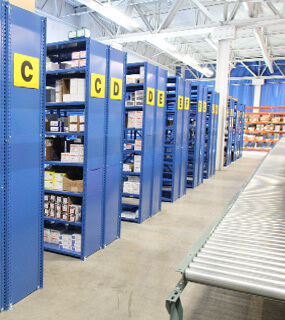 Our regional distribution centers stock over 50,000 different SKU’s to provide access to hard-to-find items. 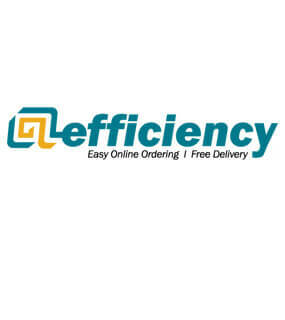 With 24/7 access to all of your account information, you can check previous orders and invoices, access a current statement, check branch inventory and place orders online. 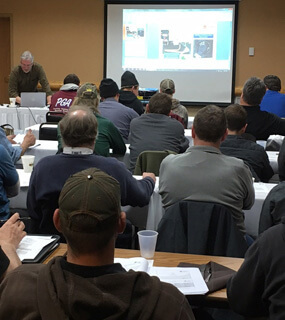 At Gustave A. Larson Company we provide technical, service and business training opportunities. and delivering them with pride in a timely and professional manner.